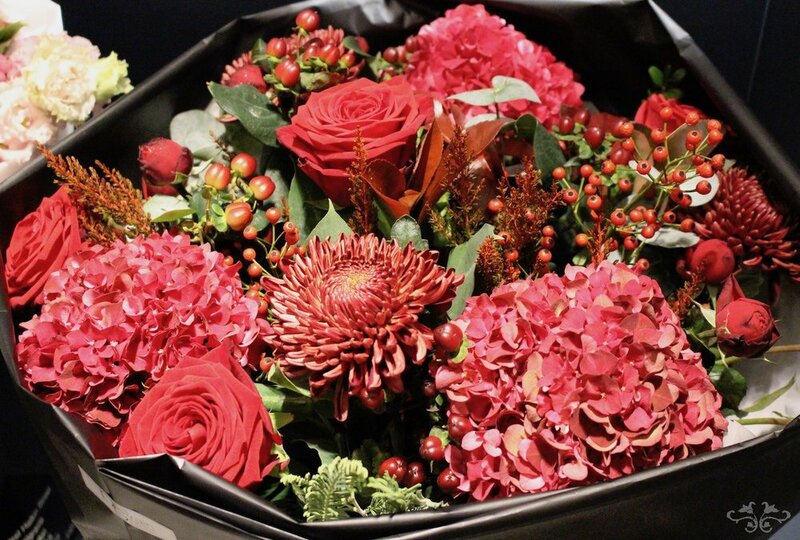 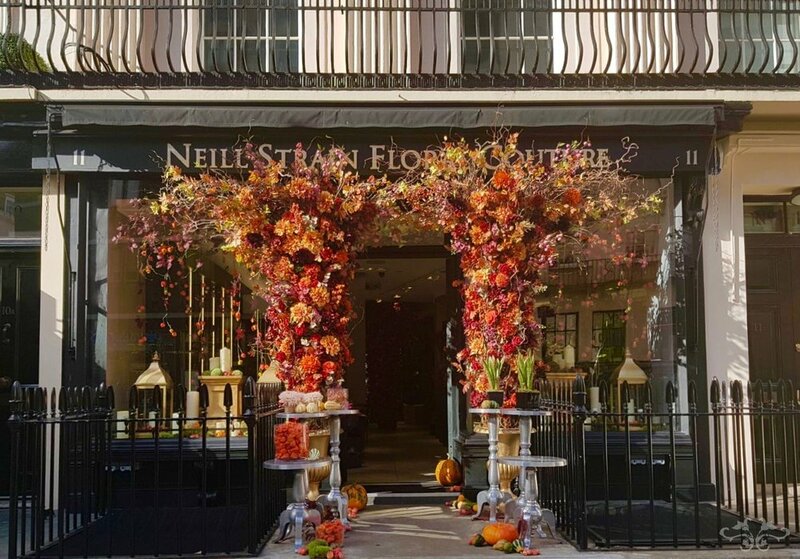 Neill introduces us to his spectacular flowers, fruits and foliages of the season, on display at the recently refurbished Belgravia Boutique and the concession at Harrods, along with his stunning designs for the 2018 Autumn Collection including decorations especially for Halloween and Thanksgiving. 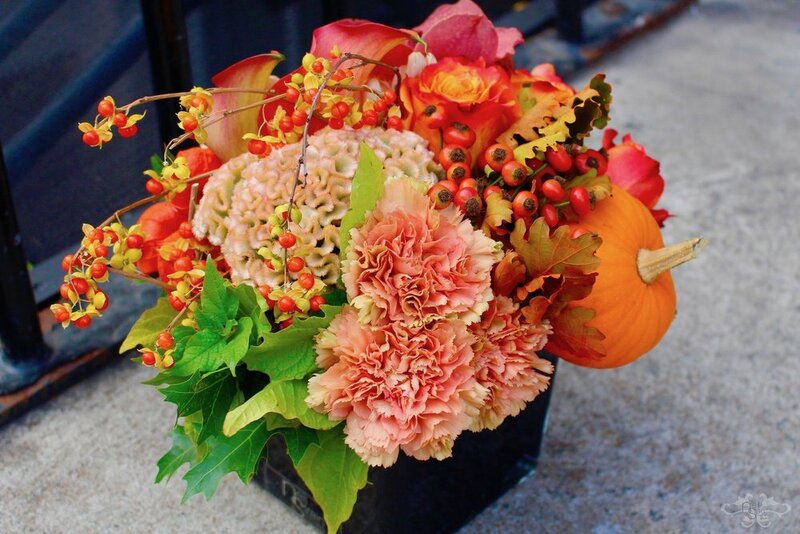 The only good thing about Summer ending is Autumn! 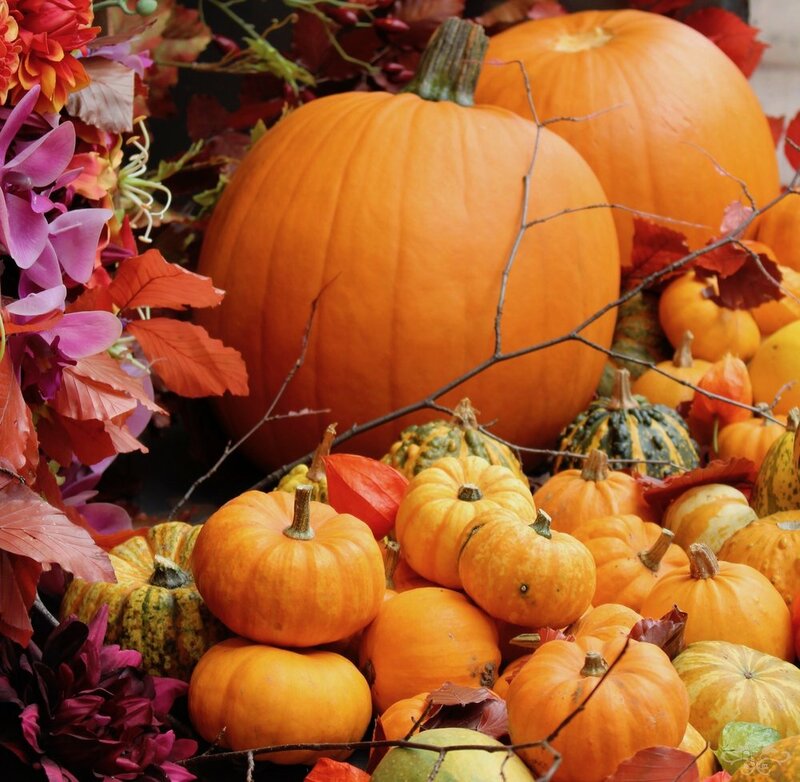 Autumn is my favourite season for the colours and textures we find in the garden and at my fabulous growers. 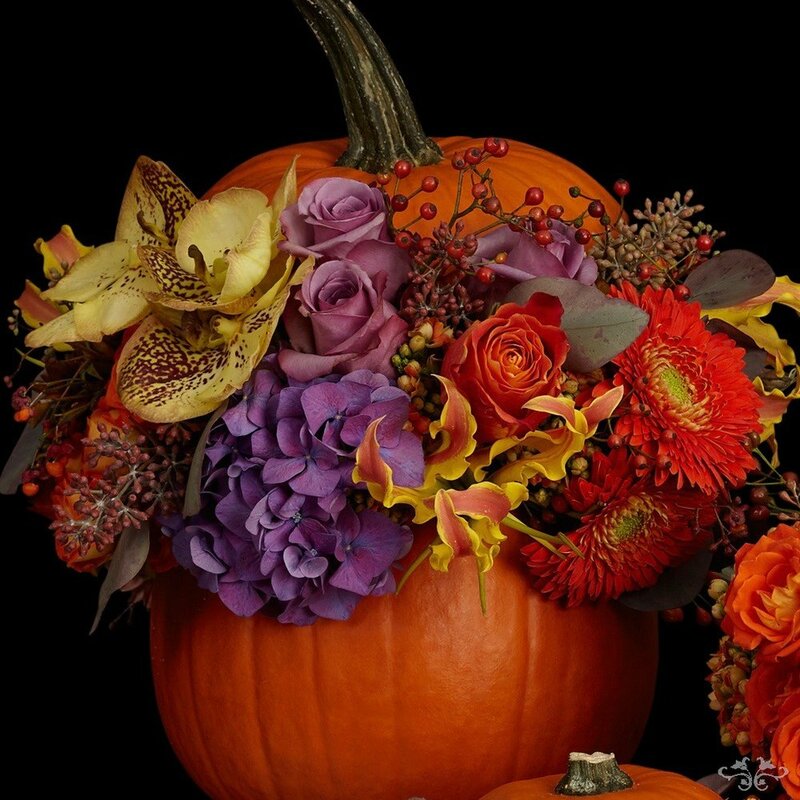 For me, the deep, rich tints and tones of the season compensate for the shorter days and cooler temperatures. 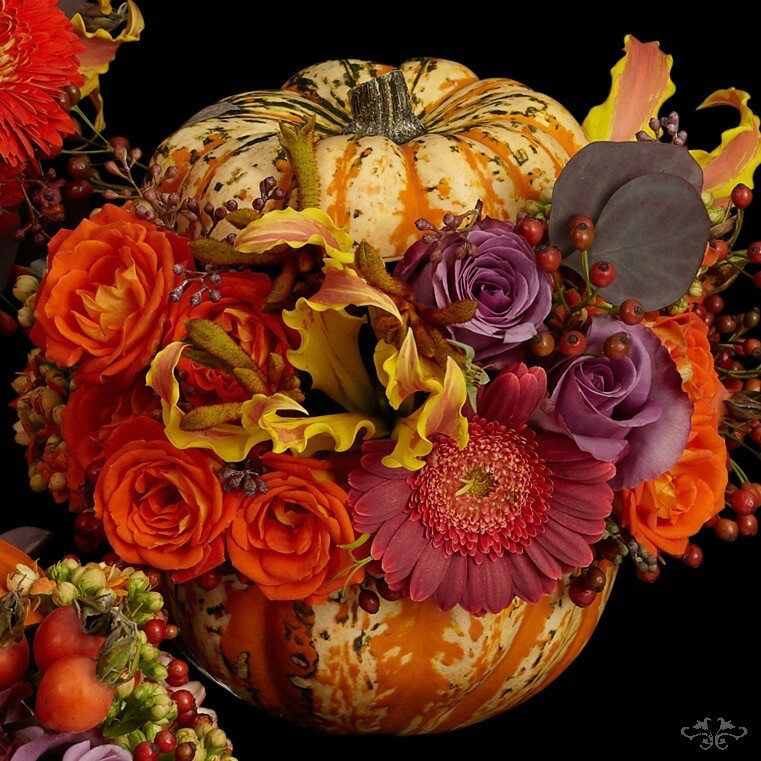 So it is my great pleasure to introduce you to the flowers, the foliages, grasses and berries, and all things wonderfully Autumnal in this blog post, along with my designs for our 2018 Autumn Collection. 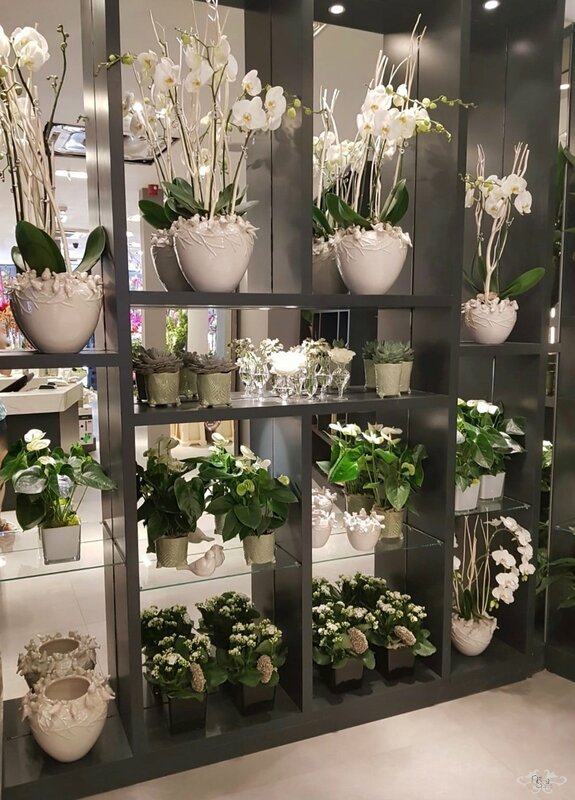 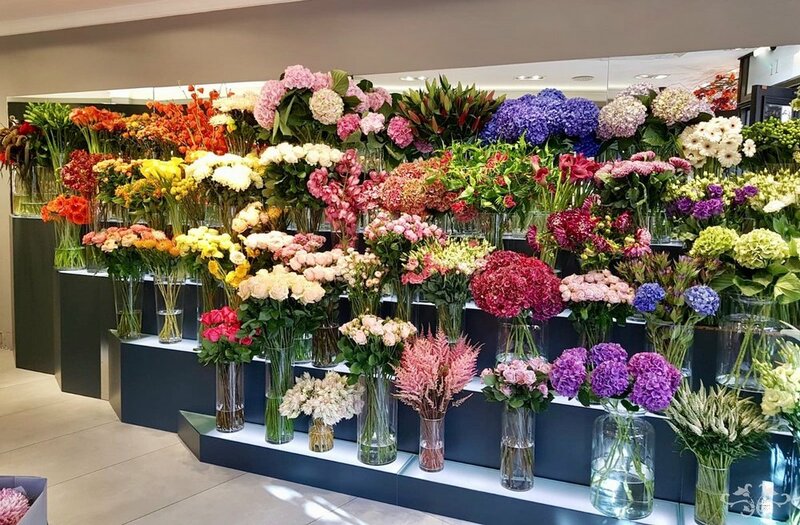 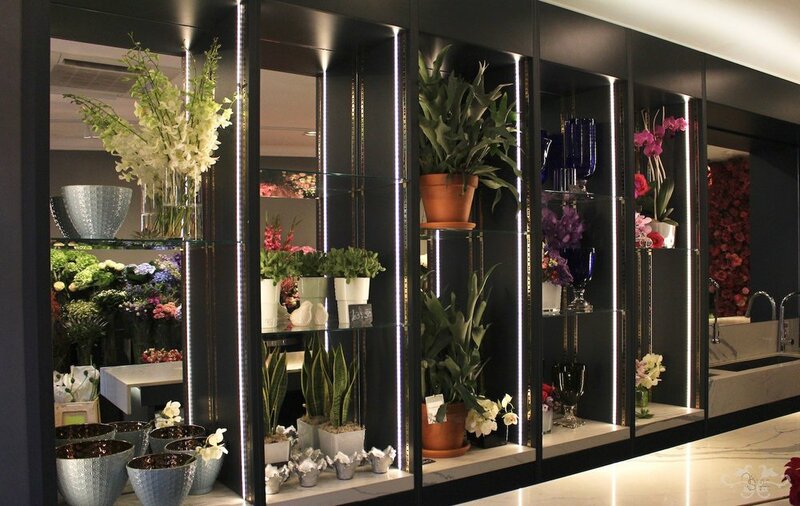 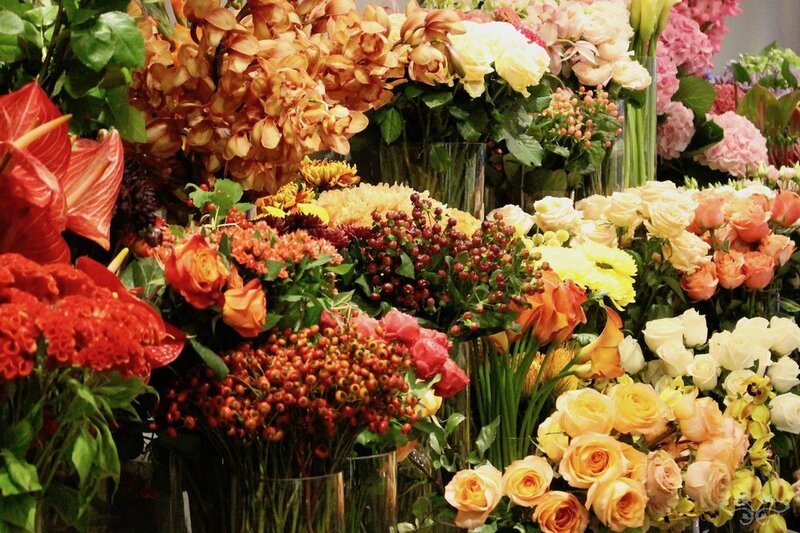 Inside our newly refurbished Belgravia boutique, the display of seasonal flowers and berries is almost overwhelming! 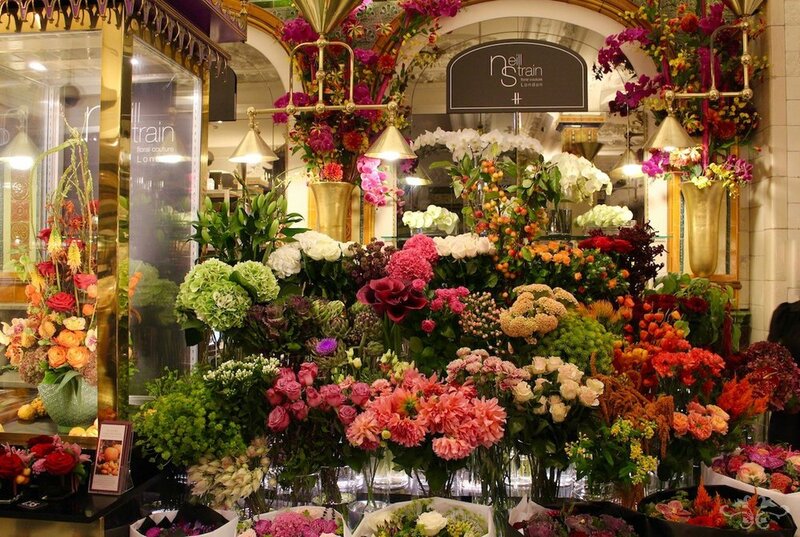 As is the stunning display at our concession at Harrods. 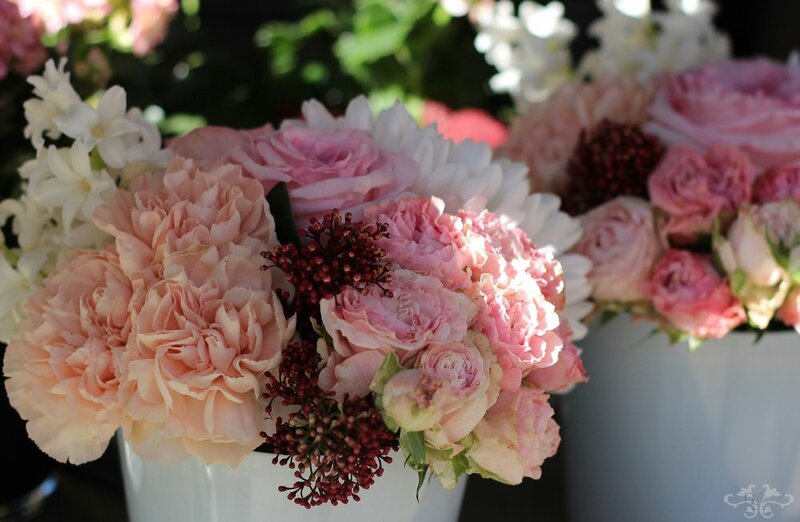 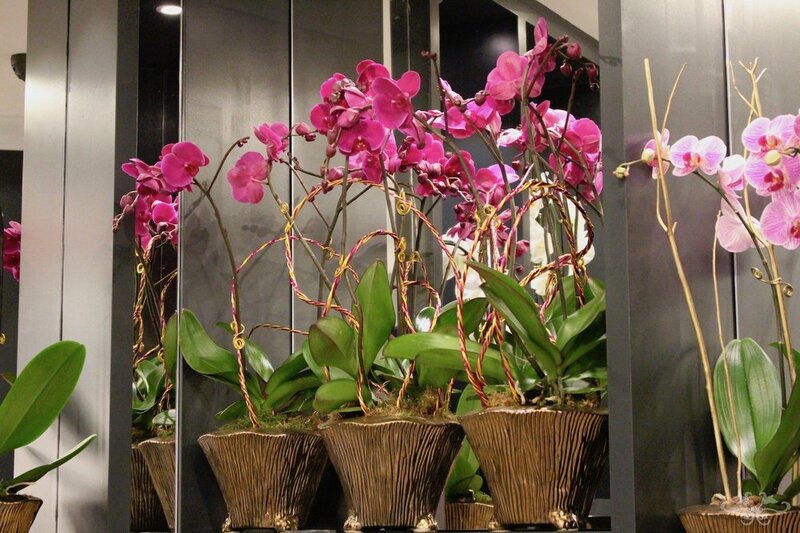 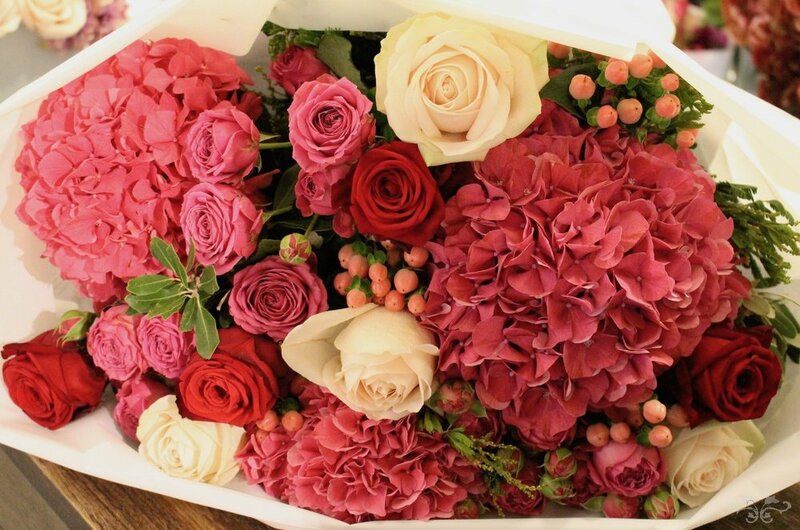 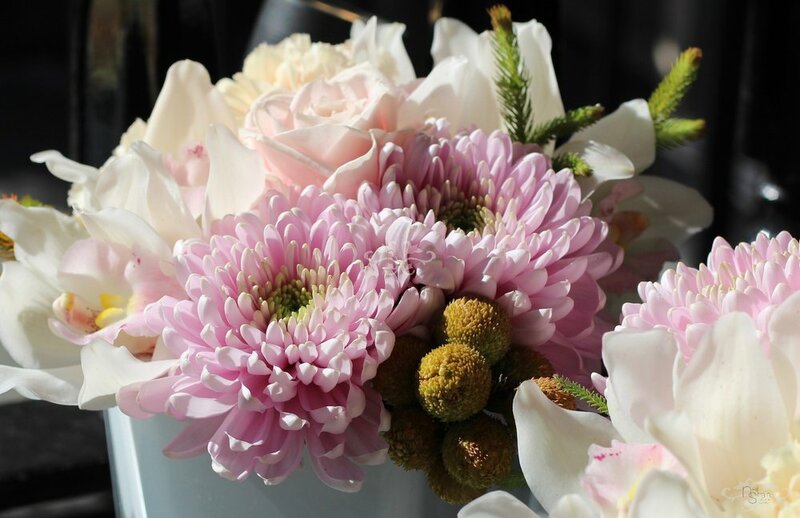 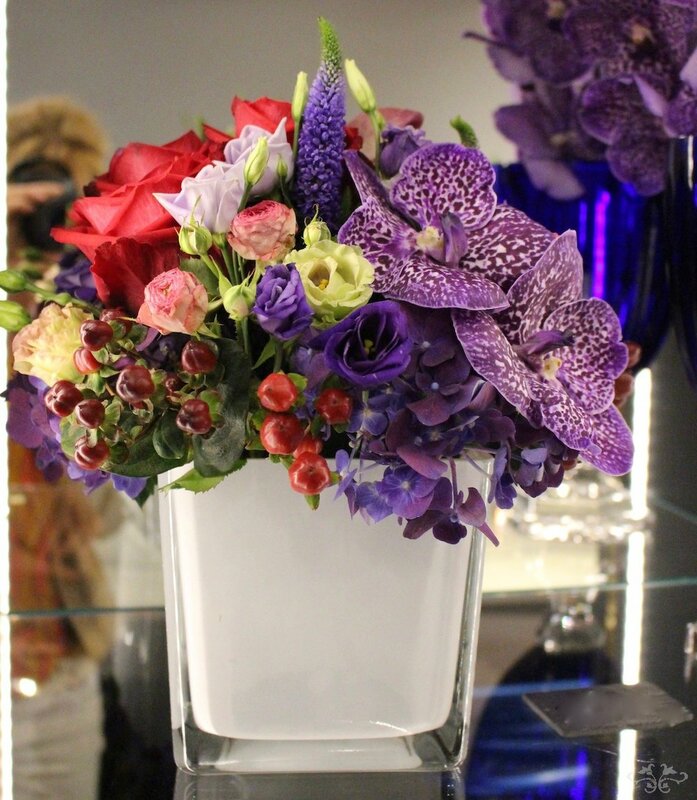 Every day we have freshly-made, ready-to-go Haute Couture hand-tied bouquets on display. 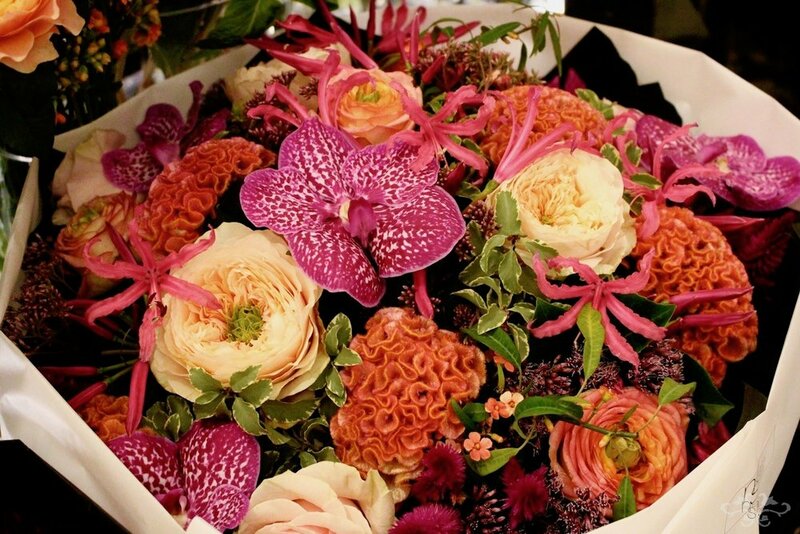 Haute Couture because of the inspiration from the colours and textures of the current trends in fashion infused with the sensations of the season. 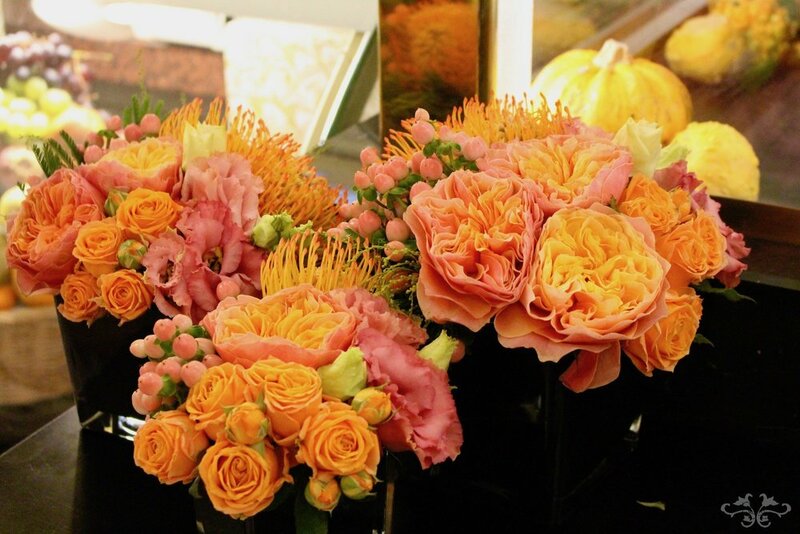 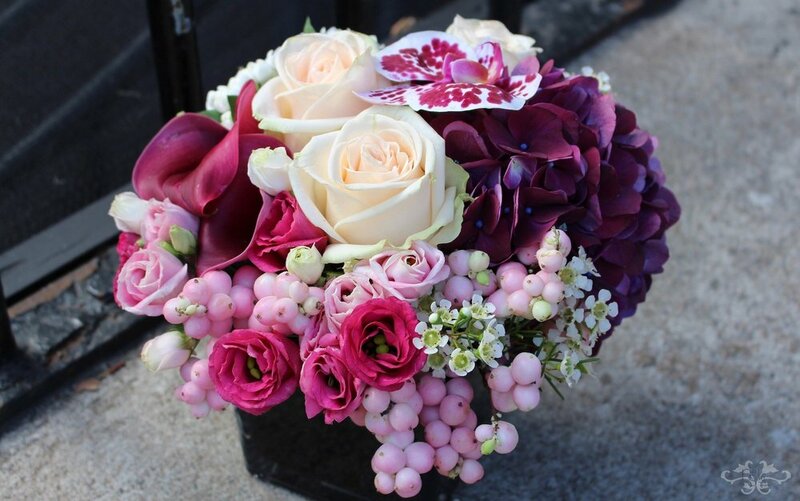 Daily we also create our signature Petite Couture designs, a floral arrangement which captures all the beauty of the season. 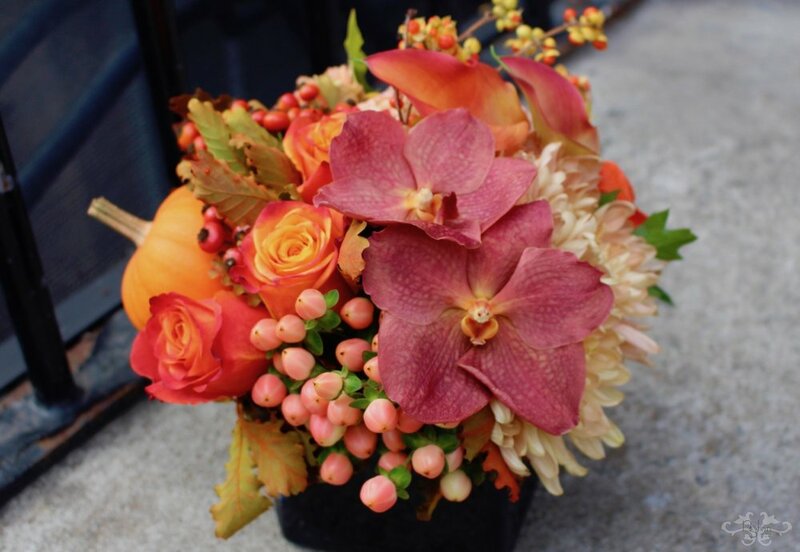 Nature gives us so many special treats in Autumn and I love to blend these into our designs as they give that extra richness and opulence of the season that defines our Floral Couture. 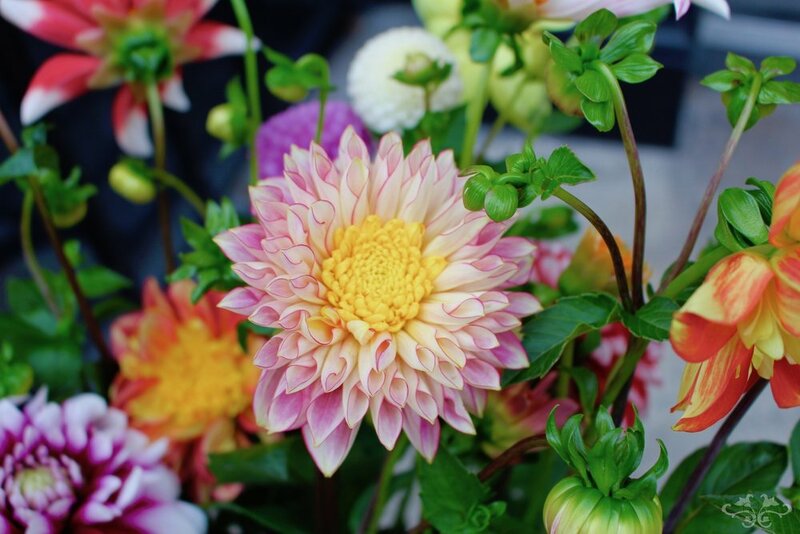 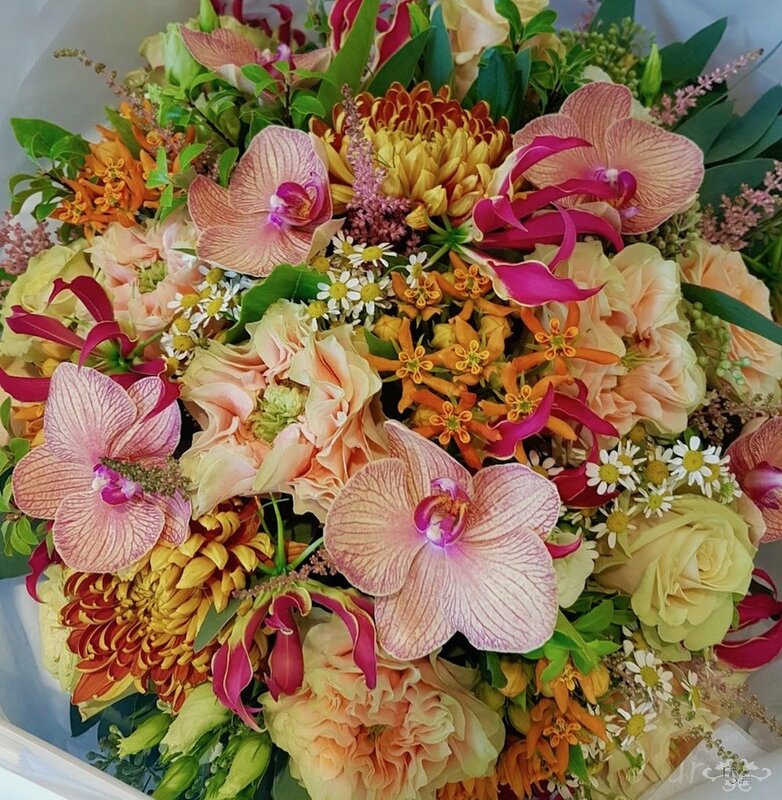 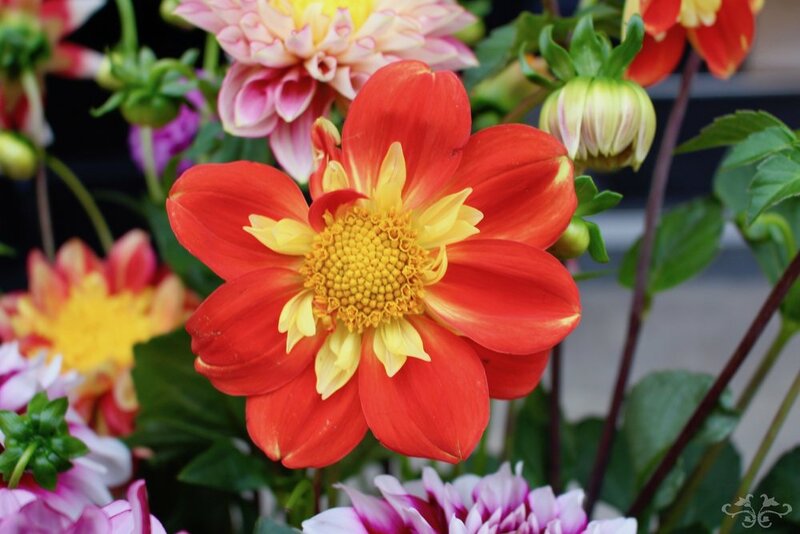 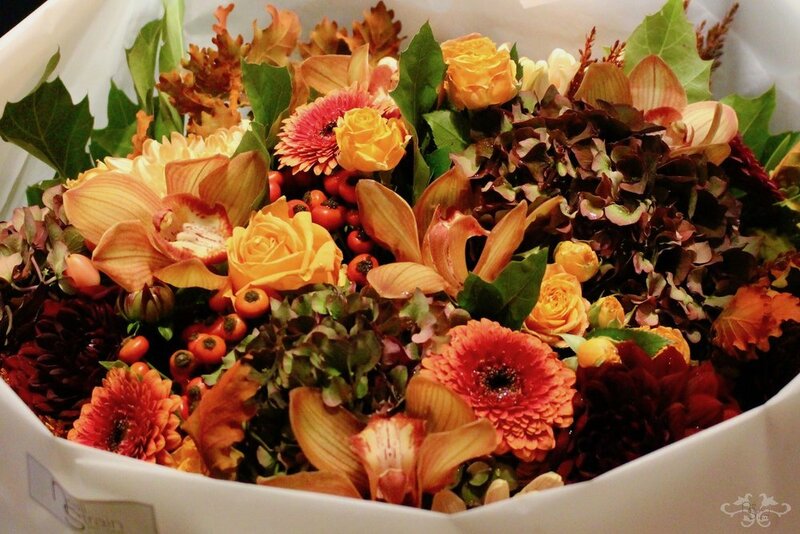 I hope these glorious flowers and fruits of the season will give you as much pleasure and comfort as they do me, helping you to forget the delightful heat of the summer months and open your eyes to the exceptional beauty of Autumn.